Born in Florence, Italy, around 1386, sculptor Donatello apprenticed early with well-known sculptors and quickly learned the Gothic style. Before he was 20, he was receiving commissions for his work. 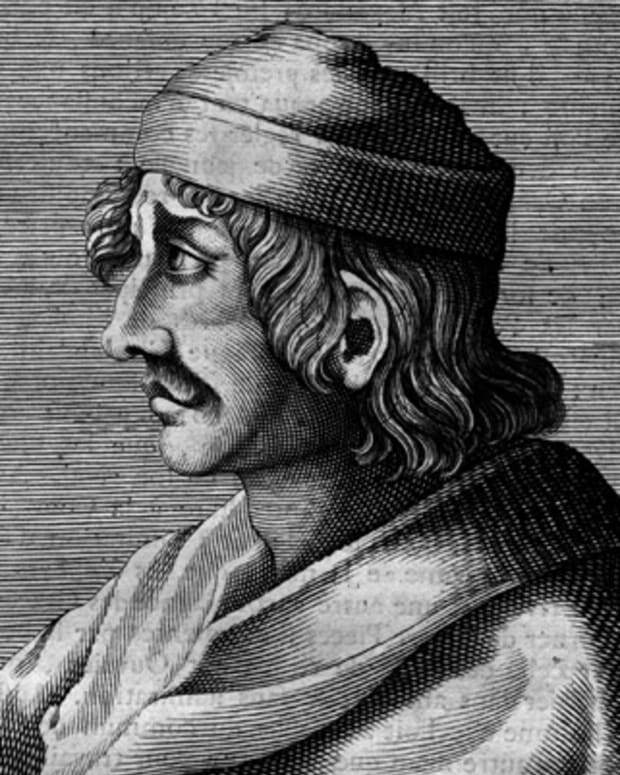 Over his career he developed a style of lifelike, highly emotional sculptures and a reputation second only to Michelangelo&apos;s.
Donatello, the early Italian Renaissance sculptor, was born Donato di Niccolo di Betto Bardi in Florence, Italy, sometime in 1386. 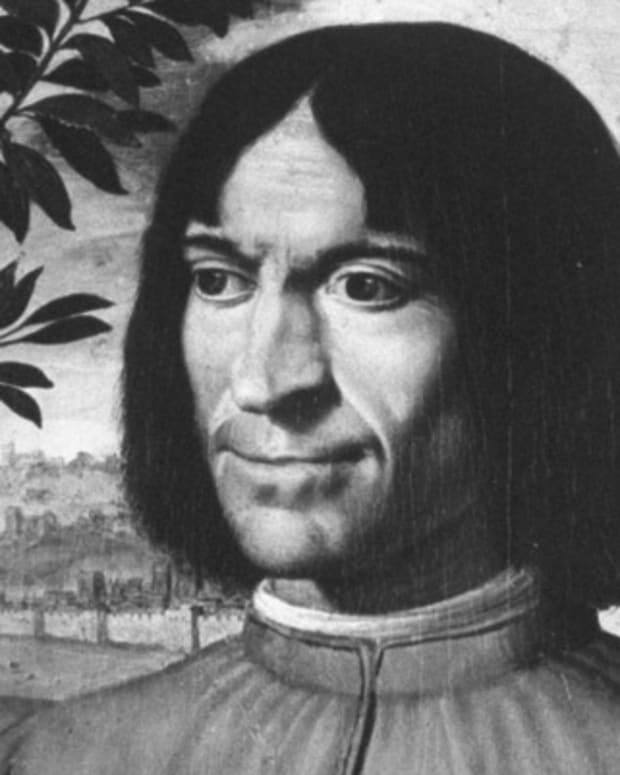 His friends and family gave him the nickname “Donatello.” He was the son of Niccolo di Betto Bardi, a member of the Florentine Wool Combers Guild. This gave young Donatello status as the son of a craftsman and placed him on a path of working in the trades. 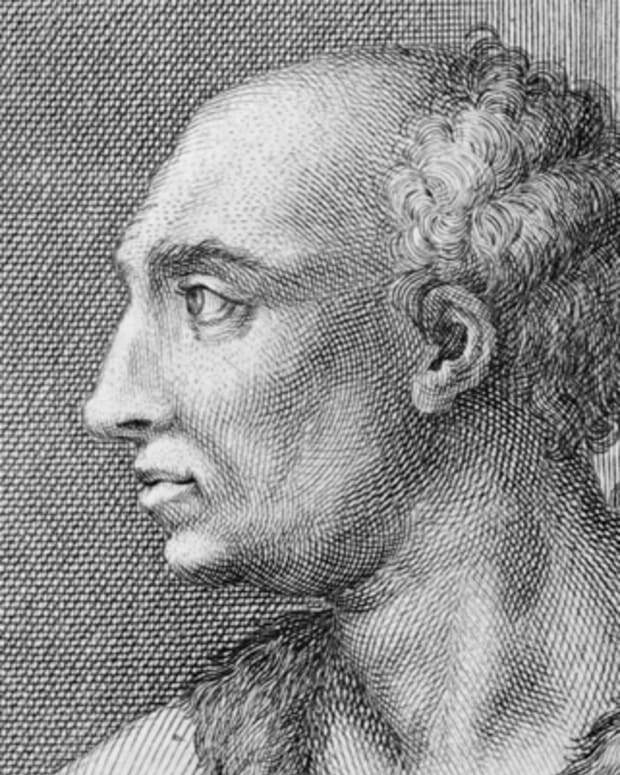 Donatello was educated at the home of the Martellis, a wealthy and influential Florentine family of bankers and art patrons closely tied to the Medici family. It was here that Donatello probably first received artistic training from a local goldsmith. He learned metallurgy and the fabrication of metals and other substances. In 1403, he apprenticed with Florence metalsmith and sculptor Lorenzo Ghiberti. A few years later, Ghiberti was commissioned to create the bronze doors for the Baptistery of the Florence Cathedral, beating out rival artist Filippo Brunelleschi. Donatello assisted Ghiberti in creating the cathedral doors. 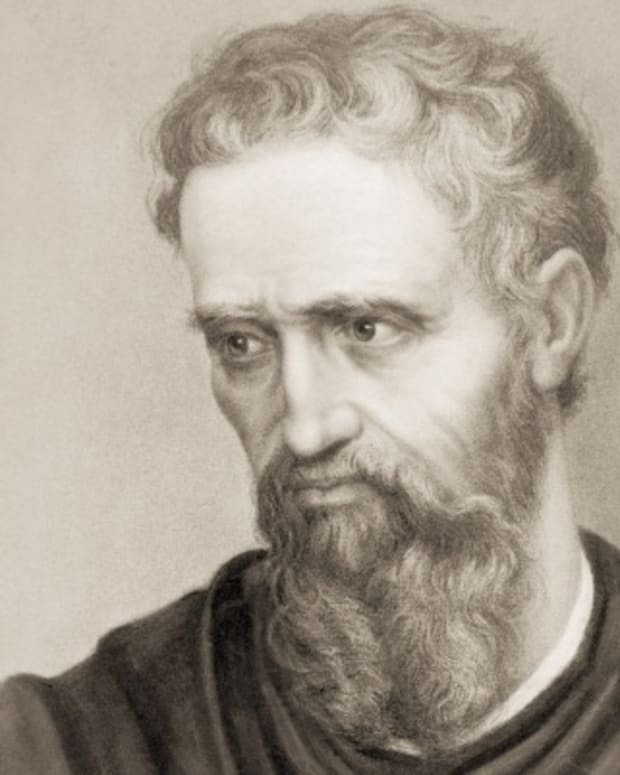 There are accounts by some historians that Donatello and Brunelleschi struck up a friendship around 1407 and traveled to Rome to study classical art. Details of the trip are not well known, but it is believed that the two artists gained valuable knowledge excavating the ruins of classical Rome. The experience gave Donatello a deep understanding of ornamentation and classic forms, important knowledge that would eventually change the face of 15th-century Italian art. 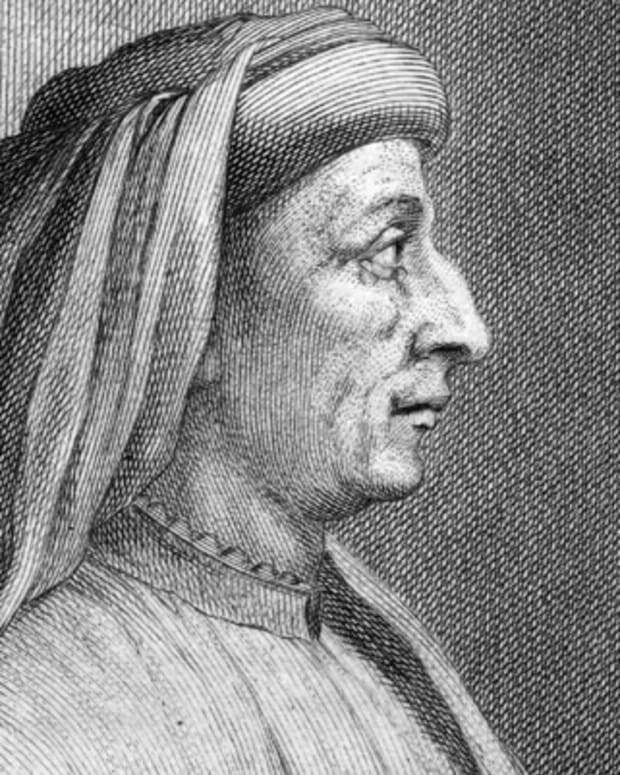 His association with Brunelleschi likely influenced him in the Gothic style that can be seen in much of Donatello’s early work. By 1408, Donatello was back in Florence at the workshops of the cathedral. That year, he completed the life-sized marble sculpture, David. The figure follows a Gothic style, popular at the time, with long graceful lines and an expressionless face. The work reflects the influences of sculptors of the time. Technically, it&apos;s very well executed, but it lacks the emotional style and innovative technique that would mark Donatello’s later work. Originally, the sculpture was intended for placement in the cathedral. Instead, however, it was set up in the Palazzo Vecchio (the town hall) as an inspiring symbol of defiance of authority to Florentines, who were engaged in a struggle with the king of Naples at the time. Rapidly maturing in his art, Donatello soon began to develop a style all his own, with figures much more dramatic and emotional. Between 1411 and 1413, he sculpted the marble figure St. Mark, placed in an exterior niche of the Orsanmichele Church, which also served as the chapel of Florence’s powerful craft and trade guilds. In 1415, Donatello completed the marble statue of a seated St. John the Evangelist for the cathedral in Florence. Both works show a decisive move away from the Gothic style and toward a more classical technique. By this time, Donatello was gaining a reputation for creating imposing, larger-than-life figures using innovative techniques and extraordinary skills. His style incorporated the new science of perspective, which allowed the sculptor to create figures that occupied measurable space. Before this time, European sculptors used a flat background upon which figures were placed. Donatello also drew heavily from reality for inspiration in his sculptures, accurately showing suffering, joy and sorrow in his figures’ faces and body positions. 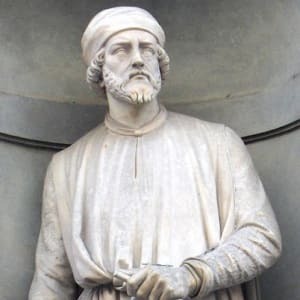 Around 1425, Donatello entered into a partnership with Italian sculptor and architect Michelozzo, who also studied with Lorenzo Ghiberti. 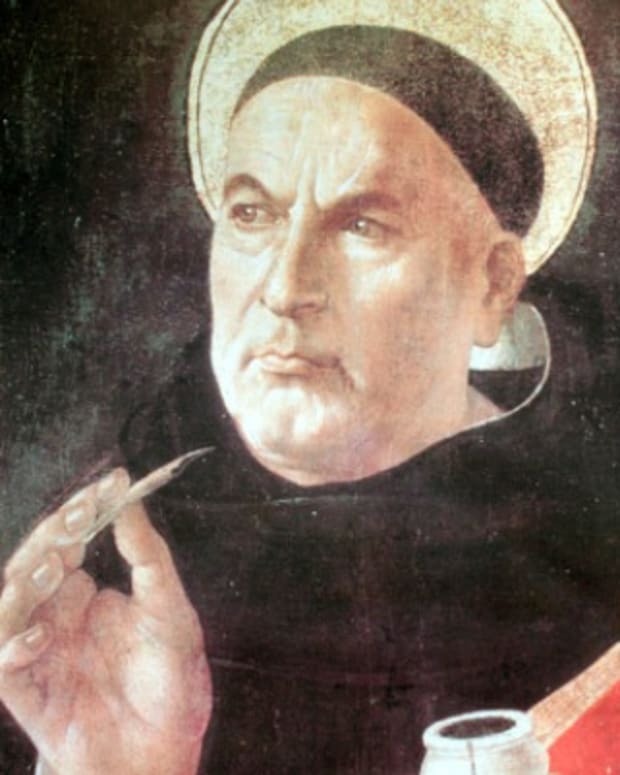 Donatello and Michelozzo traveled to Rome, where they produced several architectural-sculptural tombs, including the tomb of Antipope John XXIII and the tomb of Cardinal Brancacci. These innovations in burial chambers would influence many later Florentine tombs. Donatello had nurtured a close and lucrative relationship with Cosimo de’ Medici in Florence. In 1430, the eminent art patron commissioned Donatello to do another statue of David, this time in bronze. This is probably Donatello’s most famous work. The sculpture is fully independent from any architectural surroundings that might support it. Standing a little over five feet tall, David represents an allegory of civic virtue triumphing over brutality and irrationality. In 1443, Donatello was called to the city of Padua by the family of the famous mercenary Erasmo da Narni, who had died earlier that year. In 1450, Donatello completed a bronze statue called Gattamelata, showing Erasmo riding a horse in full battle dress, minus a helmet. This was the first equestrian statue cast in bronze since the Romans. The sculpture created some controversy, as most equestrian statues were reserved for rulers or kings, not mere warriors. This work became the prototype for other equestrian monuments created in Italy and Europe in the following centuries. By 1455, Donatello had returned to Florence and completed Magdalene Penitent, a statue of a gaunt-looking Mary Magdalene. Commissioned by the convent at Santa Maria di Cestello, the work was probably intended to provide comfort and inspiration to the repentant prostitutes at the convent. Donatello continued his work taking on commissions from wealthy patrons of the arts. 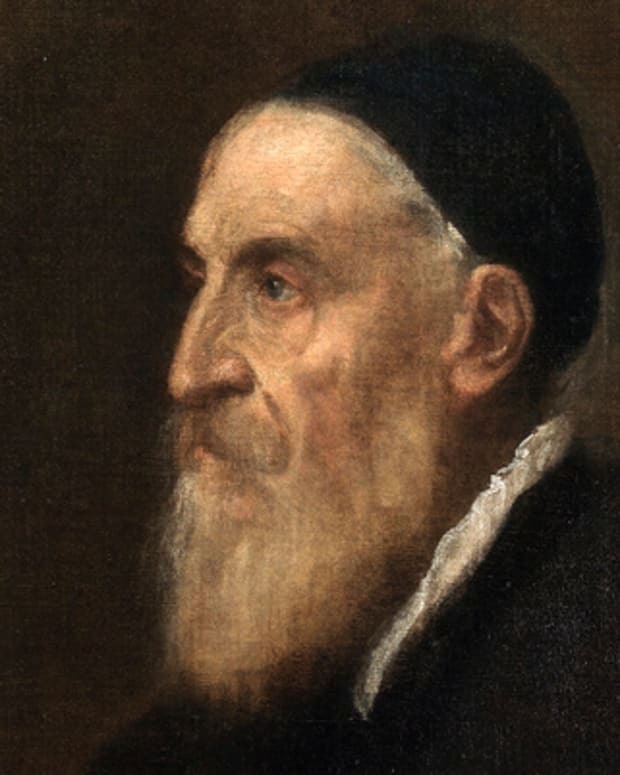 His lifelong friendship with the Medici family earned him a retirement allowance to live on the rest of his life. He died of unknown causes on December 13, 1466, in Florence and was buried in the Basilica of San Lorenzo, next to Cosimo de&apos; Medici. An unfinished work was faithfully completed by his student Bertoldo di Giovanni. Poet, writer, political thinker. 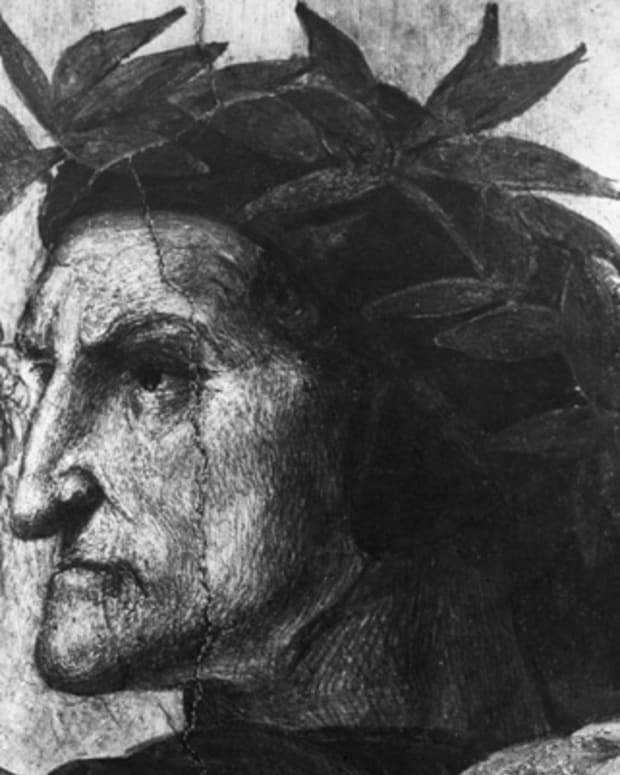 Dante was a Medieval Italian poet and philosopher whose poetic trilogy, The Divine Comedy, made an indelible impression on both literature and theology. 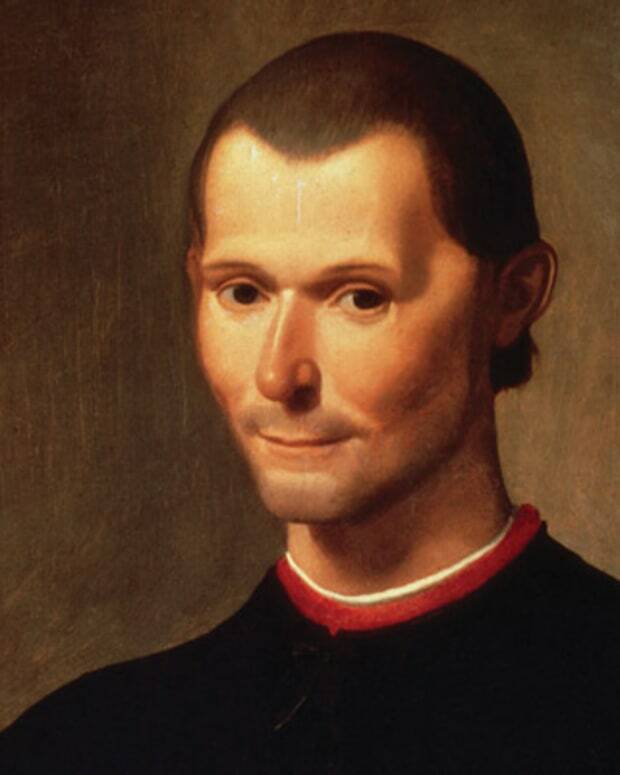 Lorenzo de' Medici was Florentine statesman, ruler and patron of arts and letters, the most brilliant of the Medici.